…when such a condition means a number of problems hampering the settings and consuming the productivity of the machine. Often you take out a plate of food from inside the fridge and suddenly realise that you may not need to insert it in the microwave as it’s not that ‘cold’ as it is supposed to be. Maybe your kid just comes at you telling you or complaining to you about a can of soda not being so cold even after it has spent a long time inside the refrigerator. These indications mean serious issues. It is time to know why these things make your fridge warmer, paving the way for further damage in a variety of its parts. That’s the reason you have got this blog with you. 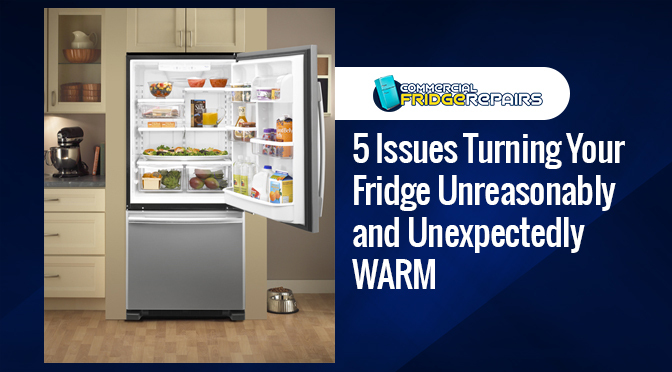 It has taken down some problematic reasons turning a fridge ‘not so cold’. Gaskets are rubber strips aligned carefully in the border of the fridge doors to keep those doors tightly shut with the fridge so that the internal air of the machine gets zero chances of escaping. If the gasket is torn, cracked, worn or loosened, then the door loses its grip with the fridge. The cold air, thus, gets away from inside the fridge, making it warmer. You may not comprehend or feel the cold air escaping from the machine when the door is shut. The refrigerant is a chemical compound that makes the fridge produce the cold air. But, due to malfunctioning or improper temperature control, the refrigerant leaks and gets reduced in its quantity. The fridge, thus, doesn’t get enough refrigerant to help it cool down at a normal level. It gets warm. Refrigerant leakage can mean FATAL issues as they can make electrical hazards. 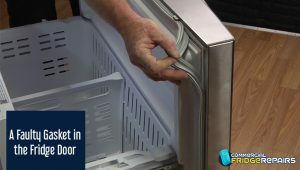 Call in pros from fridge repair services in Sydneyas early as you can. They may also indicate some other problems causing this hotness inside the machine and fix them. Setting the wrong temperature in the thermostat can lead the fridge to work in improper temperature. It can either make the fridge too warm or too cold. In the latter case, you may notice ice buildup inside it. Vents are the channels, through which, cold air passes into your fridge from a part of it known as the freezer. 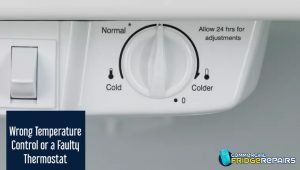 However, if the temperature is controlled again in the wrong way or if the fridge is really old and haven’t been checked or serviced by commercial fridge repair technicians in Sydney for a really long time, then ice and debris may block the vents. 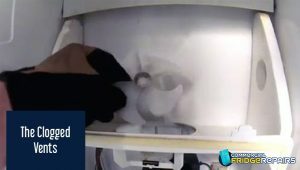 The cold air is prevented from getting into the fridge, and the machine gets warm. 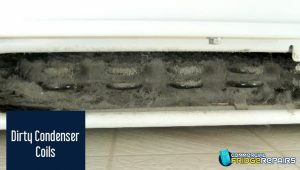 Condenser coils, located at the back or at the underside of the fridge may make serious issues when they are dirty. It helps the fridge malfunction producing negative effects on its systems. One of the outcomes for this impact can turn it internal chamber warm. When you neglect to repair a fridge at the time it turns warm; you push it to extensive damage (no offence). What you can do is that you can talk to the fridge repair mechanics from Commercial Fridge Repairs. The brand has a number of skilled and experienced professionals who not just solve the problem, but also offer effective advice on maintaining your fridge. 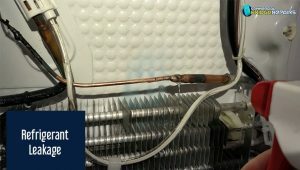 Make your warm fridge cold again with these technicians from Commercial Fridge Repairs. Previous PostMake Your Commercial Refrigerator “summer Ready” With These RepairsNext PostWhy Is Proper Refrigeration Necessary for Industrial Fridge?